Your local house call vet. We are a mobile vet clinic who comes straight to you, fully equiped. We pride ourselves in being able to provide the same veterinary clinical level of care as a bricks and mortars vet, but in a familiar environment that your pet will feel most comfortable and safe. We are committed to providing meaningful, holistic and complete health care for your beloved pets. Welcome to Vetpoint. We understand. The journey to the vet can be extremely stressful for your much-loved pet, and you. At Vetpoint, we are your local vet who comes straight to you. We believe in a transparent and straight forward service and pricing structure. Looking for a vet near you. That would likely be us, Vet Point. We are a Brisbane based mobile veterinary service. Our base of operations is across the southern suburbs of Brisbane. Search for your suburb in the following table to find out more. 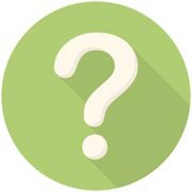 The following are some frequently asked questions, please contact us if you have any questions that are not answered here! 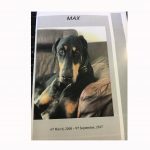 Thank you for the compassionate care you gave our beautiful boy Max during the last months of his life. Dr Cindy is without a doubt one of the best vets we have ever had the pleasure of knowing and are so glad to have found her. “Cindy has been seeing my two cats for almost a year and I and the cats couldn’t be happier.